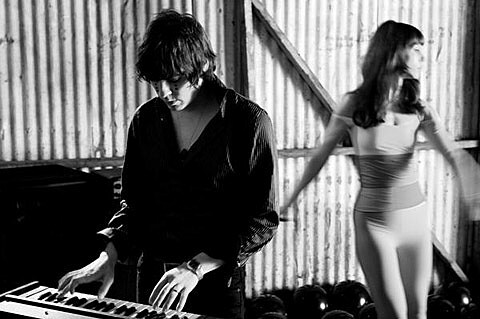 Glass Candy (from Portland) will join fellow Italians that Do it Better Chromatics (from Portland), Desire (from Montreal), and Simonetti (from Bayonne, New Jersey) for a five day stint of US dates that include Webster Hall in NYC on January 14th, 2011. RSVP for the NYC show and pay only $1 before midnight. All dates below. Mr. Oizo, a pseudonym of French music producer and film director Quentin Dupieux, is a successful French electro house musician, mostly known for his 1999 track, “Flat Beat” and his collaborations with labelmate Uffie. His pseudonym is a corruption of the French oiseau, meaning “bird.” He is currently signed to French electro record label, Ed Banger Records. Mr Oizo will play NYC on Feb 4, 2011 at Webster Hall. RSVP and pay $1 before midnight. He also has dates coming up much sooner in California and some in Chicago and Montreal. They are all listed below. Speaking of Ed Banger, we can’t forget the band that ultimately made that label happen. Daft Punk have a new album (soundtrack) on the way. To celebrate, Le Poisson Rouge welcomes the return of Faux Punk, the Daft Punk cover band, to the venue on Saturday, December 11th. The upcoming Brooklyn Electronic Festival doesn’t feature any of the artists we’ve mentioned so far in this post, but it does feature many other similar others. Tickets are still on sale. All Glass Candy and Mr. Oizo dates and some videos below.